Is your newborn suffering from any genetic disorder? Did your doctor diagnose him with Phenylketonuria (PKU)? If you said yes, you need get him treated at once. What is Phenylketonuria (PKU)? How does it happen? Read our post and get the answers to your questions here. The disease of Phenylketonuria (PKU) is a rare genetic disorder, which occurs in newborn babies. When a baby suffers from the disease, the body cells lose its ability to breakdown the specific amino acid phenylalanine. What Causes PKU In Babies? The disease of Phenylketonuria (PKU) is a genetic disorder. When a baby inherits defective genes from his parents, the body lacks a certain group of enzymes. The cells become incapable of breaking down the essential amino acid called phenylalanine. The lab technician collects few drops of blood from your baby’s body. The technician conducts a clinical blood diagnosis to check for the presence of a genetic disorder. Your baby has to undergo some additional blood and urine tests. A diet that is devoid of protein rich foods. Consumption of formulated nutritional supplements can promote proper growth and development of your baby. If your baby is a PKU sufferer, you need to keep a close track of his daily diet. Follow the specific dietary guidelines recommended by the dietician. To be more precise, measure the quantity of formulated baby food and keep a record of the total amount of phenylalanine consumed every day. Ensure that your baby consumes low-protein foods as the protein can reduce his phenylalanine intake. Ask the Dietician to provide a daily timetable or PKU diet for infants food regime. PKU meal plans differ for every baby. Remember that the meal plan can change with time, and you need to change the proportion of phenylalanine accordingly. PKU occurs in the newborn baby when he inherits two copies of specific genes from both the parents. Each parent contains one copy of the gene and, therefore, does not suffer from PKU. But if each of the single copy of the gene passed to the baby, he is more likely to suffer from PKU. Seems to be less inactive than expected normally. Displays other observable symptoms and signs of PKU. Suffers from a severe developmental delay or mental retardation. 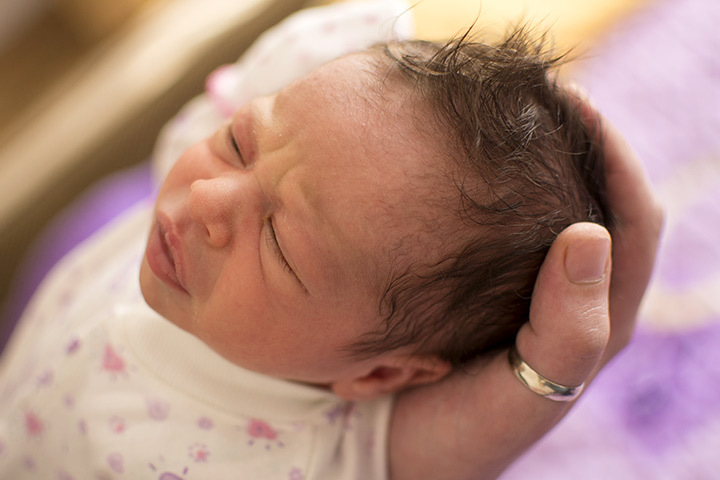 Did your newborn baby suffer from Phenylketonuria (PKU)? What were the treatments and medications suggested by your doctor? Share your stories with other moms here. Do you have any suggestions or questions? Tell us about them. Leave a comment below.